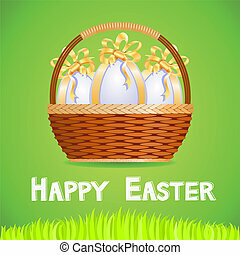 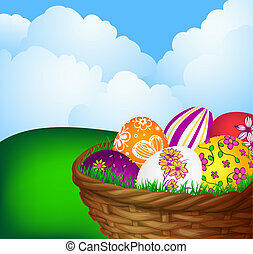 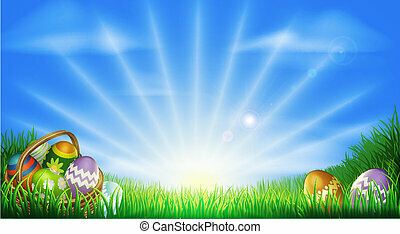 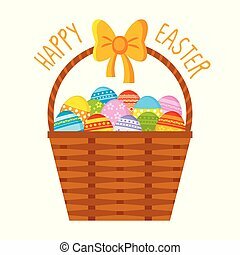 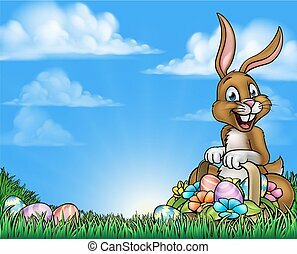 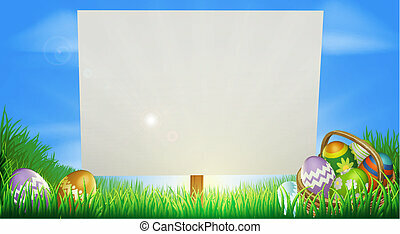 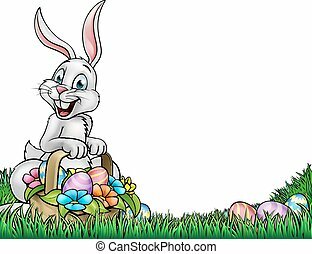 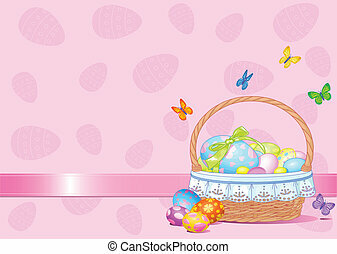 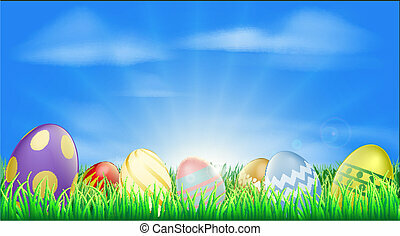 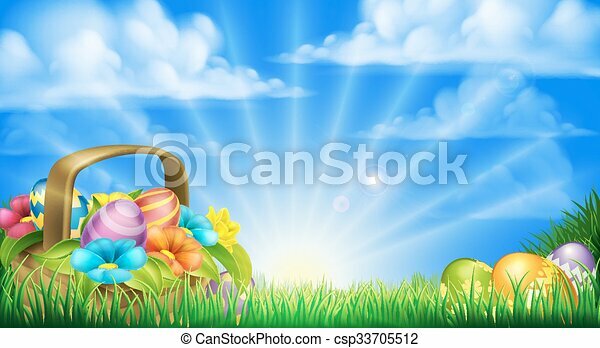 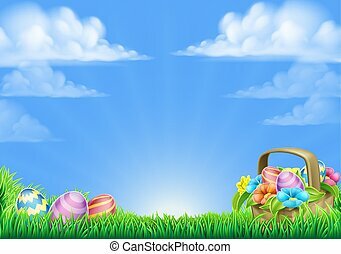 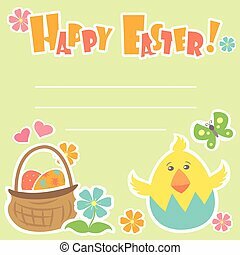 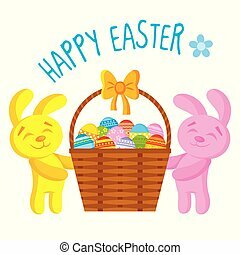 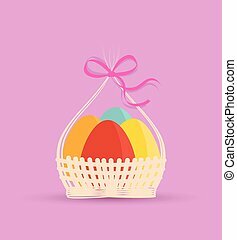 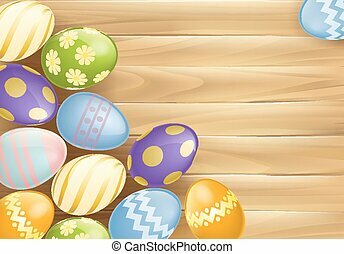 Easter eggs basket background. 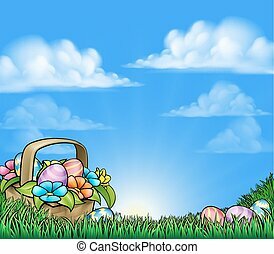 Easter scene. 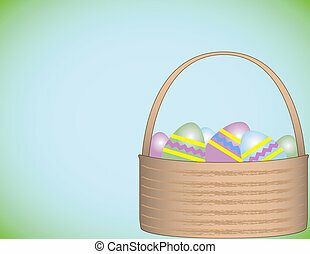 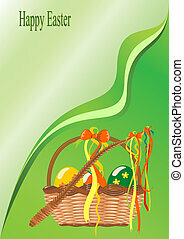 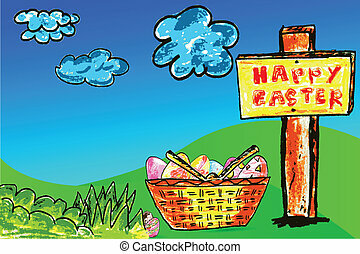 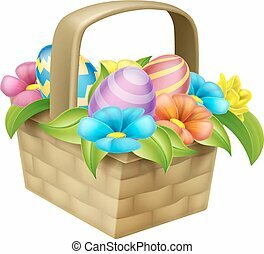 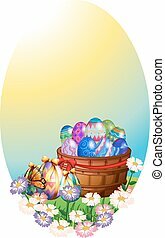 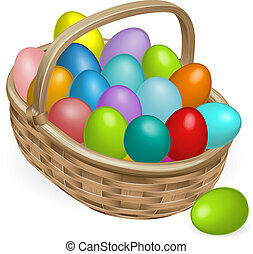 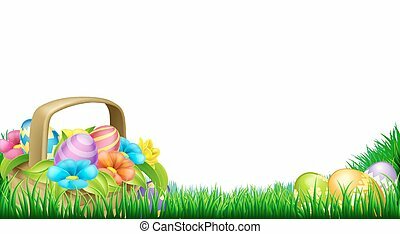 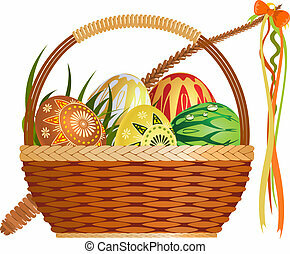 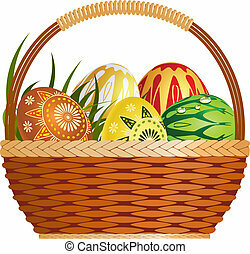 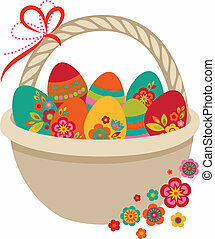 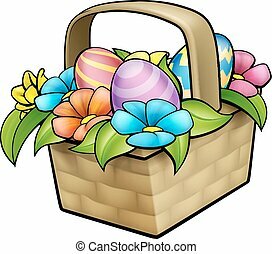 basket full of decorated chocolate easter eggs and flowers in a field.